↑ Regency Council was practically dissolved on 22 January 1979, when its head resigned to meet Ruhollah Khomeini. 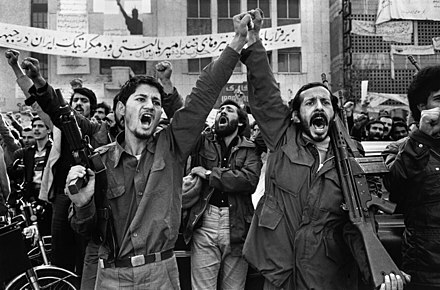 ↑ Imperial Iranian Army revoked their allegiance to the throne and declared neutrality on 11 February 1979. The Iranian Revolution (Persian : انقلاب ایران‎, translit. Enqelābe Irān;), also known as the Islamic Revolution or the 1979 Revolution,  was a series of events that involved the overthrow of the last monarch of Iran, Mohammad Reza Shah Pahlavi,  and the replacement of his government with an Islamic republic under the Grand Ayatollah Ruhollah Khomeini, a leader of one of the factions in the revolt. The movement against the United States-backed monarchy was supported by various leftist and Islamist organizations  and student movements. 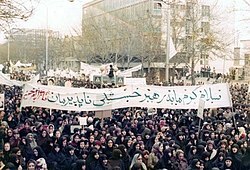 Demonstrations against the Shah commenced in October 1977, developing into a campaign of civil resistance that included both secular and religious elements,    and which intensified in January 1978. 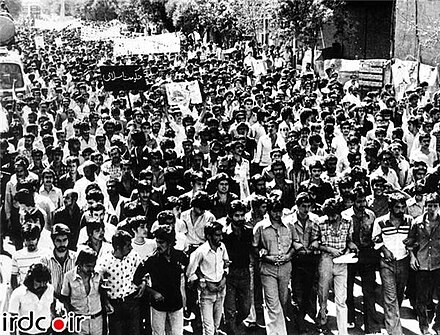 Between August and December 1978, strikes and demonstrations paralyzed the country. 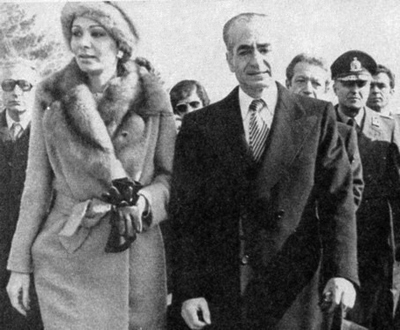 The Shah left Iran for exile on 16 January 1979, as the last Persian monarch, leaving his duties to a regency council and Shapour Bakhtiar who was an opposition-based prime minister. 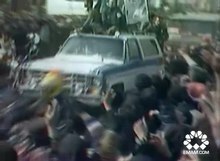 Ayatollah Khomeini was invited back to Iran by the government,   and returned to Tehran to a greeting by several million Iranians. 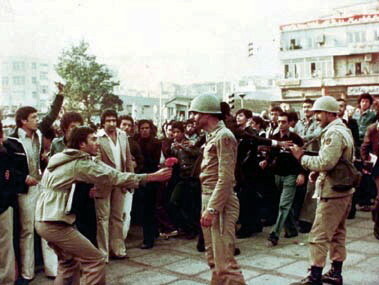 The royal reign collapsed shortly after on 11 February when guerrillas and rebel troops overwhelmed troops loyal to the Shah in armed street fighting, bringing Khomeini to official power. Iran voted by national referendum to become an Islamic republic on 1 April 1979  and to formulate and approve a new theocratic-republican constitution     whereby Khomeini became Supreme Leader of the country in December 1979. Anti-Western sentiment, also known as Anti-Atlanticism, or Westenophobia refers to broad opposition, bias, or hostility to the people, Western Culture, Western Values, or policies of the Western World. 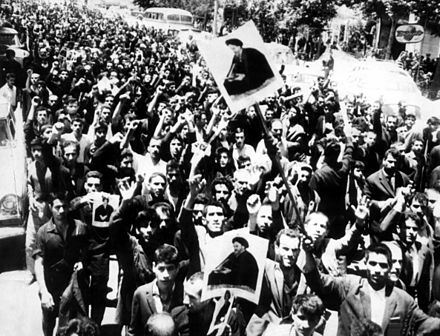 Reasons advanced for the revolution and its populist, nationalist and, later, Shi'a Islamic character include a conservative backlash against the Westernizing and secularizing efforts of the Western-backed Shah,  a rise in expectations created by the 1973 oil revenue windfall and an overly ambitious economic program, anger over a short, sharp economic contraction in 1977–78, [Note 2] and other shortcomings of the previous regime. Westernization (US) or Westernisation (UK), also Europeanization/Europeanisation or occidentalization/occidentalisation, is a process whereby societies come under or adopt Western culture in areas such as industry, technology, law, politics, economics, lifestyle, diet, clothing, language, alphabet, religion, philosophy, and values. From 1901 on, the Anglo-Persian Oil Company (renamed the Anglo-Iranian Oil Company in 1931) – a British oil company – enjoyed a monopoly on sale and production of Iranian oil. It was the most profitable British business in the world. [ citation needed ] Most Iranians lived in poverty while the wealth generated from Iranian oil played a decisive role in maintaining Britain at the top of the world. In 1951 Iranian Prime Minister Mohammad Mosaddegh pledged to throw the company out of Iran, reclaim the petroleum reserves and free Iran from foreign powers. Mohammad Reza Shah Pahlavi, who was the son of Reza Shah, maintained a close relationship with the U.S. government, as both regimes shared an opposition to the expansion of the Soviet Union, Iran's powerful northern neighbor. Like his father, the Shah's government was known for its autocracy, its focus on modernization and Westernization, and for its disregard for religious  and democratic measures in Iran's constitution. Leftist and Islamist groups attacked his government (often from outside Iran as they were suppressed within) for violating the Iranian constitution, political corruption, and the political oppression by the SAVAK secret police. The post-revolutionary leader – Shia cleric Ayatollah Ruhollah Khomeini – first came to political prominence in 1963 when he led opposition to the Shah and his White Revolution. Khomeini was arrested in 1963 after declaring the Shah a "wretched miserable man" who had "embarked on the [path toward] destruction of Islam in Iran." Three days of major riots throughout Iran followed, with 15,000 dead from police fire as reported by opposition sources. However, anti-revolutionary sources conjectured that just 32 were killed. Khomeini was released after eight months of house arrest and continued his agitation, condemning Iran's close cooperation with Israel and its capitulations, or extension of diplomatic immunity, to American government personnel in Iran. In November 1964 Khomeini was re-arrested and sent into exile where he remained for 15 years, until the revolution. Most importantly, Khomeini preached revolt, and especially martyrdom, against injustice and tyranny was part of Shia Islam,  and that Muslims should reject the influence of both liberal capitalism and communism, ideas that inspired the revolutionary slogan "Neither East, nor West – Islamic Republic!" Marxist groups – primarily the communist Tudeh Party of Iran and the Fedaian guerrillas [Note 4] – had been weakened considerably by government repression. Despite this the guerrillas did help play an important part in the final February 1979 overthrow  delivering "the regime its coup de grace." The most powerful guerrilla group – the People's Mujahedin – was leftist Islamist and opposed the influence of the clergy as reactionary. A series of escalating protests broke out in major cities, and deadly riots broke out in Isfahan where protesters fought for the release of Ayatollah Jalaluddin Taheri. Martial law was declared in the city on 11 August as symbols of Western culture and government buildings were burned, and a bus full of American workers was bombed. Due to his failure to stop the protests, Prime Minister Amuzegar offered his resignation. Bakhtiar invited Khomeini back to Iran, with the intention of creating a Vatican-like state in the holy city of Qom, declaring that "We will soon have the honor of welcoming home the Ayatollah Khomeini". On 1 February 1979 Khomeini returned to Tehran in a chartered Air France Boeing 747. The welcoming crowd of several million Iranians was so large he was forced to take a helicopter after the car he was being transported in from the airport was overwhelmed by an enthusiastic welcoming crowd. Khomeini was now not only the undisputed leader of the revolution,   he had become what some called a "semi-divine" figure, greeted as he descended from his airplane with cries of 'Khomeini, O Imam, we salute you, peace be upon you.' Crowds were now known to chant "Islam, Islam, Khomeini, We Will Follow You," and even "Khomeini for King." When asked by a reporter how he felt returning to his home country after a long exile, Khomeini replied "Nothing". 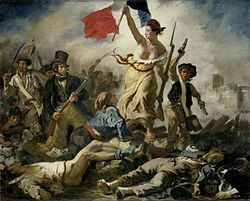 The final collapse of the provisional non-Islamist government came at 2 pm 11 February when the Supreme Military Council declared itself "neutral in the current political disputes... in order to prevent further disorder and bloodshed." All military personnel were ordered back to their bases, effectively yielding control of the entire country to Khomeini. Revolutionaries took over government buildings, TV and radio stations, and palaces of the Pahlavi dynasty, marking the end of the monarchy in Iran. Bakhtiar escaped the palace under a hail of bullets, fleeing Iran in disguise. He was later assassinated by an agent of the Islamic Republic in 1991 in Paris. 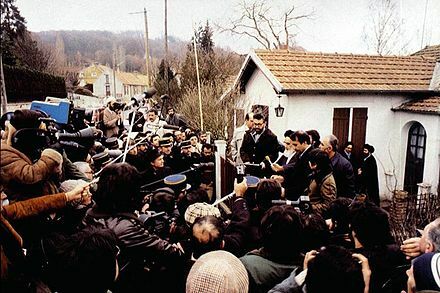 Some observers believe "what began as an authentic and anti-dictatorial popular revolution based on a broad coalition of all anti-Shah forces was soon transformed into an Islamic fundamentalist power-grab,"  that except for his core supporters, the members of the coalition thought Khomeini intended to be more a spiritual guide than a ruler  – Khomeini being in his mid-70s, having never held public office, having been out of Iran for more than a decade, and having told questioners "the religious dignitaries do not want to rule." However, nobody could deny the unanimous central role of the Imam, and the other factions were too small to have any real impact. 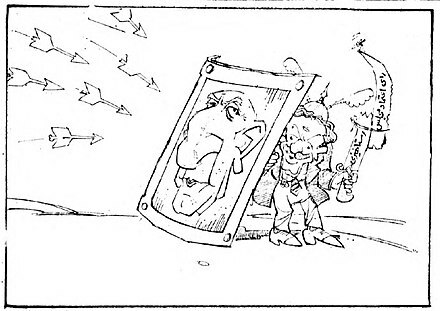 While the moderate Bazargan and his government (temporarily) reassured the middle class, it became apparent they did not have power over the "Khomeinist" revolutionary bodies, particularly the Revolutionary Council (the "real power" in the revolutionary state),   and later the Islamic Republican Party. 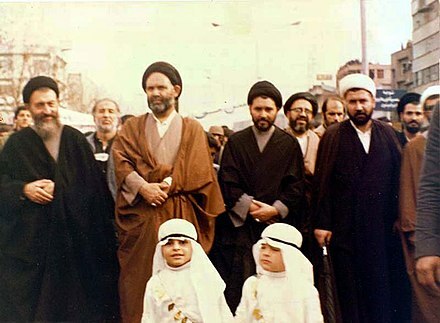 Inevitably, the overlapping authority of the Revolutionary Council (which had the power to pass laws) and Bazargan's government was a source of conflict,  despite the fact that both had been approved by and/or put in place by Khomeini. Serving under the Pasdaran were/are the Baseej-e Mostaz'afin , ("Oppressed Mobilization")  volunteers in everything from earthquake emergency management to attacking opposition demonstrators and newspaper offices. The Islamic Republican Party  then fought to establish a theocratic government by velayat-e faqih . 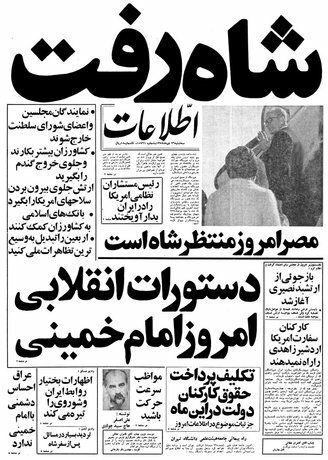 In addition to the president, the new constitution included a more powerful post of guardian jurist ruler intended for Khomeini,  with control of the military and security services, and power to appoint several top government and judicial officials. It increased the power and number of clerics on the Council of Guardians and gave it control over elections  as well as laws passed by the legislature. The MEK retaliated with a campaign of terror against the IRP. On 28 June 1981, a bombing of the office of the IRP killed around 70 high-ranking officials, cabinet members and members of parliament, including Mohammad Beheshti, the secretary-general of the party and head of the Islamic Republic's judicial system. The government responded with thousands of arrests and hundreds of executions. Despite these and other assassinations  the hoped-for mass uprising and armed struggle against the Khomeiniists was crushed. In its region, Iranian Islamic revolutionaries called specifically for the overthrow of monarchies and their replacement with Islamic republics, much to the alarm of its smaller Sunni-run Arab neighbors Iraq, Saudi Arabia, Kuwait, and the other Persian Gulf States – most of whom were monarchies and all of whom had sizable Shi'a populations. It was with one of these countries that the Iran–Iraq War, which killed hundreds of thousands and dominated life in the Islamic Republic for the next eight years, was fought. In September 1980 the Arab Nationalist and Sunni Muslim-dominated regime of Saddam Hussein of neighboring Iraq invaded Iran in an attempt to take advantage of revolutionary chaos and destroy the revolution in its infancy. [ citation needed ] Iran was "galvanized"  and Iranians rallied behind their new government helping to stop and then reversing the Iraqi advance. Although Iraq invaded Iran, most of the war was fought after Iran had regained most of its land back and after the Iraqi government had offered a truce. Khomeini rejected it, announcing the only condition for peace was that "the regime in Baghdad must fall and must be replaced by an Islamic republic,"  but ultimately the war ended with no Islamic revolution in Iraq. Although ultimately only the Lebanese Islamists succeeded, other activities have had more long-term impact. The Ayatollah Khomeini's 1989 fatwa calling for the killing of Indian-born British citizen Salman Rushdie had international impact. The Islamic revolutionary government itself is credited with helping establish Hezbollah in Lebanon  and the Supreme Council for the Islamic Revolution in Iraq. The members of the Bahá'í Faith have been declared heretical and subversive. While persecution occurred before the Revolution since then more than 200 Bahá'ís have been executed or presumed killed, and many more have been imprisoned, deprived of jobs, pensions, businesses, and educational opportunities. Bahá'í holy places have been confiscated, vandalized, or destroyed. More recently, Bahá'ís in Iran have been deprived of education and work. Several thousand young Bahá'ís between the ages of 17 and 24 have been expelled from universities. Since the revolution, university enrollment and the number of women in the civil service and higher education has risen  and several women have been elected to the Iranian parliament. 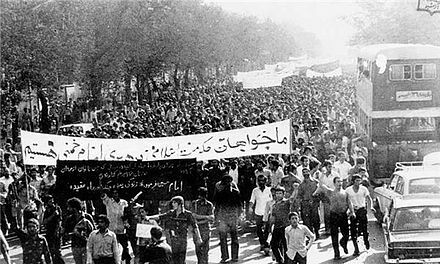 Black Friday is the name given to 8 September 1978 because of the shootings in Jaleh Square in Tehran, Iran. Between 84–88 people were killed in the incident and 205 were injured. 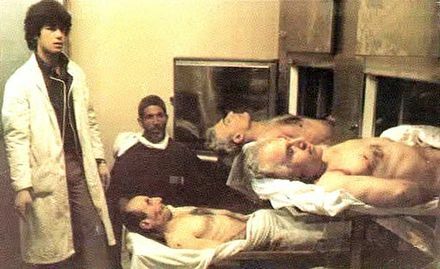 The deaths were described as the pivotal event in the Iranian Revolution that ended any "hope for compromise" between the protest movement and regime of the Mohammad Reza Shah. The incident is described by historian Ervand Abrahamian as "a sea of blood between the shah and the people." 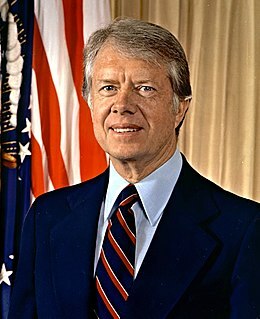 The National Democratic Front was a liberal-left political party founded during the Iranian Revolution of 1979 that overthrew shah Mohammad Reza Pahlavi, and banned within a short time by the Islamic government. It was founded by Hedayatollah Matin-Daftari, a grandson of celebrated Iranian nationalist Mohammad Mosaddeq and a "lawyer who had been active in human rights causes" before the downfall of the shah and the son of the fourth prime minister and the jurist Ahmad Matin-Daftari. Though it was short-lived, the party has been described as one of "the three major movements of the political center" in Iran at that time, and its ouster was one of the first indications that the Islamist revolutionaries in control of the Iranian Revolution would not tolerate liberal political forces. 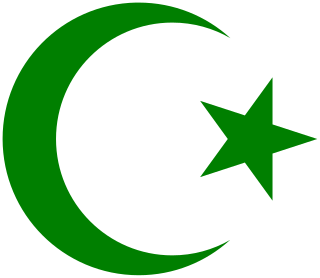 The Muslim People's Republic Party (MPRP) or Islamic People's Republican Party was a short-lived party associated with Shia Islamic cleric Shariatmadari. It was founded in 1979 during the Iranian Revolution as a "moderate, more liberal counterweight" to the theocratic, Islamist Islamic Republican Party (IRP) of Ayatollah Ruhollah Khomeini, and disbanded in 1980. The Iranian Revolution was a nationalist and Islamic revolution that replaced a secular totalitarian monarchy with a religious democracy based on "Guardianship of the Islamic Jurists". 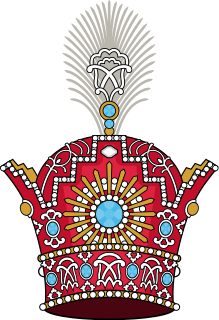 The Interim Government of Iran, officially the Provisional Revolutionary and Islamic Government of Iran was the first government established in Iran after the Iranian Revolution, and the first nominal republic established in Iran after 2,500 years of Persian monarchy. The regime was headed by Mehdi Bazargan, one of the members of the Freedom Movement of Iran, and formed on the order of Ruhollah Khomeini on 4 February 1979. From 4 February to 11 February, Bazargan and Shapour Bakhtiar, the Shah's last Prime Minister, both claimed to be the legitimate prime minister; Bakhtiar fled on 11 February. 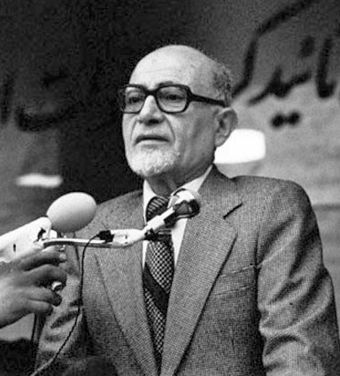 Mehdi Bazargan was the prime minister of the interim government and introduced a seven-member cabinet on 14 February 1979. 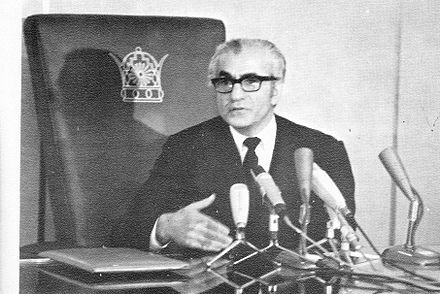 Ebrahim Yazdi was elected as the Foreign Minister. 1 2 3 E. Baqi, `Figures for the Dead in the Revolution`, Emruz, 30 July 2003. Islamic Revolution Archived 29 June 2011 at the Wayback Machine , Iran Chamber. The Independence and Liberty Revolution Archived 27 February 2009 at the Wayback Machine , Internews. Iran Profile Archived 6 August 2006 at the Wayback Machine , PDF. ↑ "Mohammad Reza Shah Pahlavi". Encyclopædia Britannica. ↑ Jubin M. GOODARZİ (8 February 2013). "Syria and Iran: Alliance Cooperation in a Changing Regional Environment" (PDF). Archived from the original (PDF) on 20 October 2013. Retrieved 18 October 2014. 1 2 3 4 5 6 7 8 9 10 11 12 13 14 15 16 17 18 19 Afkhami, Gholam-Reza (12 January 2009). The Life and Times of the Shah. ISBN 9780520942165. Archived from the original on 25 September 2015. ↑ Abrahamian, Ervand (2009) "Mass Protests in the Islamic Revolution, 1977–79", in Adam Roberts and Timothy Garton Ash (eds. ), Civil Resistance and Power Politics: The Experience of Non-violent Action from Gandhi to the Present. Oxford & New York: Oxford University Press, pp. 162–78. ↑ "The Iranian Revolution". fsmitha.com. Archived from the original on 10 October 2016. 1 2 3 4 5 6 7 8 9 10 11 12 13 14 15 16 17 18 19 20 21 22 23 24 25 26 27 28 29 30 31 32 33 34 Milani, Abbas (22 May 2012). The Shah. ISBN 9780230340381. 1 2 3 4 5 6 7 8 9 10 11 12 13 14 15 16 17 18 Milani, Abbas (2008). Eminent Persians. Syracuse University Press. ISBN 978-0-8156-0907-0. ↑ Iran Islamic Republic Archived 16 March 2006 at the Wayback Machine , Encyclopædia Britannica. 1 2 3 4 5 6 7 8 9 10 Amuzegar, Jahangir (1991). Dynamics of the Iranian Revolution. p. 253. ISBN 9780791407318. 1 2 3 4 5 6 7 8 9 Ritter, Daniel. "Why the Iranian Revolution was Non-Violent". Archived from the original on 12 October 2013. ↑ Del Giudice, Marguerite (August 2008). 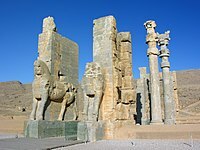 "Persia: Ancient Soul of Iran". National Geographic. ↑ Keddie, N. R. (1983). "Iranian Revolutions in Comparative Perspective". American Historical Review. 88: 589. JSTOR 1864588. 1 2 Harney, pp. 37, 47, 67, 128, 155, 167. ↑ Brumberg, Reinventing Khomeini (2001). ↑ Andrew Scott Cooper. The Oil Kings: How the U.S., Iran, and Saudi Arabia Changed the Balance of Power in the Middle East. Simon & Schuster, 2011. ISBN 1439155178. ↑ Hoveyda, Fereydoun (2003). The Shah and the Ayatollah: Iranian mythology and Islamic revolution. Praeger. p. 22. ISBN 0-275-97858-3. ↑ Abrahamian (1982), pp. 533–34. 1 2 Keddie, Nikki (1966). Religion and Rebellion in Iran: The Tobacco Protest of 1891–92. Frank Cass, p. 38. ↑ Moaddel, Mansoor (1992). "Shi'i Political Discourse and Class Mobilization in the Tobacco Movement of 1890–1892". Sociological Forum. 7 (3): 459. doi:10.1007/BF01117556. JSTOR 684660. ↑ Rajaee, Farhang (2010). Islamism and Modernism: The Changing Discourse in Iran. University of Texas Press. ISBN 9780292774360. 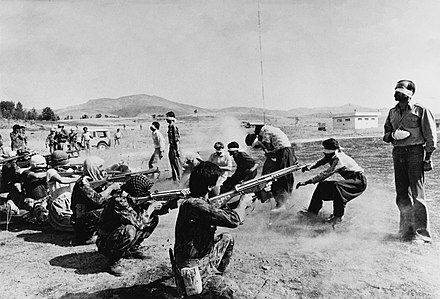 ↑ "CIA admits role in 1953 Iranian coup | World news | The Guardian". theguardian.com. Archived from the original on 25 October 2014. Retrieved 18 October 2014. ↑ "THE BASES OF THE PERSIAN CONSTITUTION, NAMELY…". Archived from the original on 30 September 2013. Retrieved 18 October 2014. ↑ "Iran: The White Revolution". Time Magazine. 11 February 1966. Archived from the original on 1 February 2011. Retrieved 10 March 2011. ↑ Nehzat by Ruhani vol. 1, p. 195, quoted in Moin, p. 75. ↑ Islam and Revolution, p. 17. ↑ "Emad Baghi: English". emadbaghi.com. Archived from the original on 4 August 2014. Retrieved 18 October 2014. 1 2 Mackey, pp. 215, 264–65. ↑ Wright, Robin (2000) "The Last Great Revolution Turmoil and Transformation in Iran" Archived 23 July 2016 at the Wayback Machine . The New York Times. 1 2 Taheri, p. 196. ↑ Abrahamian (1982), pp. 502–03. ↑ Burns, Gene (1996). "Ideology, Culture, and Ambiguity: The Revolutionary Process in Iran". Theory and Society. 25 (3): 349–388. JSTOR 658050. ↑ Fischer, Michael M.J. (2003). Iran : from religious dispute to revolution (With a new introd. ed.). Madison: University of Wisconsin Press. pp. 194–195. ISBN 978-0299184742. ↑ Wright, Robin (2000). The Last Great Revolution: Turmoil And Transformation In Iran. Alfred A. Knopf: Distributed by Random House. p. 220. ISBN 0-375-40639-5. ↑ Abrahamian (1982), p. 444. ↑ Gelvin, James L. (2008). The Modern Middle East Second Edition. Oxford University Press, Inc. p. 285. ↑ Abrahamian (1982), pp. 501–03. ↑ Gölz, Olmo. "Dah Šab – Zehn Literaturabende in Teheran 1977: Der Kampf um das Monopol literarischer Legitimität." Die Welt des Islams 55, Nr. 1 (2015): 83–111. 1 2 3 4 5 6 7 8 9 10 11 12 13 14 15 16 17 18 19 20 21 22 23 24 25 26 Pahlavi, Farah (2004). An Enduring Love: My Life With The Shah. New York, NY: Hyperion Books. ISBN 140135209-X. ↑ Harmon, Daniel E. (2004). Ayatollah Ruhollah Khomeini. New York: Infobase Pub. p. 47. ISBN 9781438106564. ↑ Brumberg, Daniel (2001). Reinventing Khomeini : the struggle for reform in Iran. Chicago: University of Chicago Press. p. 92. ISBN 9780226077581. ↑ Kurzman, Charles. "The Qum Protests" (PDF). Archived (PDF) from the original on 28 May 2015. ↑ Abrahamian (1982), p. 505. 1 2 3 4 5 6 7 8 9 10 11 12 13 14 15 16 17 18 19 20 21 22 23 24 25 26 27 28 29 30 31 32 Axworthy, Michael (2013). Revolutionary Iran: A History of the Islamic Republic. ISBN 9780199322268. 1 2 3 Rubin, Michael (27 November 2005). Eternal Iran. p. 90. ISBN 9781403977106. 1 2 3 4 5 6 7 8 9 10 11 12 13 14 15 16 17 18 19 20 Kraft, Joseph. "Letter from Iran". The New Yorker. Archived from the original on 27 April 2014. 1 2 Jervis, Robert (2011). Why Intelligence Fails: Lessons From the Iranian Revolution and the Iraq War. ISBN 0801457610. 1 2 3 4 5 6 7 8 Eisenstadt, Michael. "Iran's Islamic Revolution: Lessons for the Arab Spring of 2011?" (PDF). Archived (PDF) from the original on 14 September 2014. 1 2 3 4 Abrahamian (1982), pp. 510, 512, 513. 1 2 Hayward, Stephen (9 June 2009). The Age of Reagan: The Fall of the Old Liberal Order. ISBN 9780307453709. ↑ See pages 80–101 in Jones, Milo L. and; Silberzahn, Philippe (2013). Constructing Cassandra, Reframing Intelligence Failure at the CIA, 1947–2001. Stanford University Press. ISBN 978-0804793360. 1 2 3 Byman, Daniel. "The Rise of Low-Tech Terrorism". Archived from the original on 12 October 2013. 1 2 Ganji, Manouchehr (2002). Defying the Iranian Revolution. Greenwood Publishing Group. ISBN 978-0-275-97187-8. 1 2 "The Theater of Horror: From Aurora to Abadan | Academic Exchange". academicexchange.wordpress.com. Archived from the original on 22 December 2014. Retrieved 18 October 2014. 1 2 "Human Rights & Democracy for Iran: Monir Taheri: One Person's Story". iranrights.org. Archived from the original on 19 October 2013. Retrieved 18 October 2014. 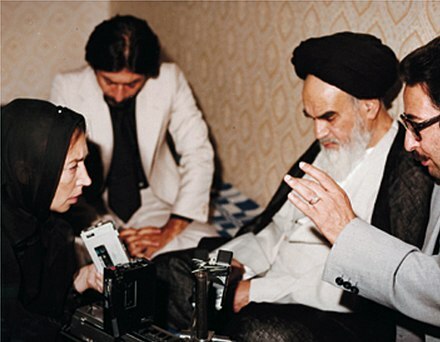 ↑ "How the BBC helped bring the Ayatollah to power – Telegraph Blogs". London: blogs.telegraph.co.uk. 22 June 2009. Archived from the original on 24 October 2014. Retrieved 18 October 2014. 1 2 3 4 5 6 7 8 Brotons, Jean-Charles (2010). US Officials and the Fall of the Shah: Some Safe Contraction Interpretations. ISBN 9780739133408. 1 2 3 4 5 6 Zabir, Sepehr (27 April 2012). The Iranian Military in Revolution and War. ISBN 9781136812705. 1 2 3 Majd, Hooman (12 September 2011). The Ayatollah's Democracy. ISBN 9780393080391. 1 2 "Lakeland Ledger – Google News Archive Search". news.google.com. Retrieved 18 October 2014. 1 2 Rosenfeld, Everett (28 June 2011). 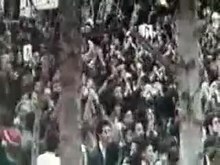 "Muharram Protests in Iran, 1978". Time. Time Inc. Archived from the original on 16 May 2015. Retrieved 7 May 2015. 1 2 "Ayatollah Ruhollah Khomeini". Biography.com. Archived from the original on 2 May 2015. Retrieved 7 May 2015. 1 2 3 4 5 Little, Douglas (15 September 2009). American Orientalism: The United States and the Middle East since 1945. ISBN 9780807877616. 1 2 3 4 5 6 Geist, Dan. "'A Darker Horizon': The Assassination of Shapour Bakhtiar". Archived from the original on 9 June 2016. 1 2 3 Huyser, Robert (1986). Mission to Tehran. ISBN 9780060390532. ↑ "The Prescott Courier – Google News Archive Search". news.google.com. Retrieved 18 October 2014. ↑ "Demonstrations allowed" Archived 10 May 2011 at the Wayback Machine , ABC Evening News for Monday, 15 January 1979. ↑ "The Khomeini Era: Iran Becomes a Theocracy". TIME.com. 12 February 1979. Archived from the original on 4 June 2011. ↑ What Are the Iranians Dreaming About? Archived 6 July 2010 at the Wayback Machine by Michel Foucault, Chicago: University Press. ↑ چرا و چگونه بازرگان به نخست وزیری رسید؟ Archived 13 April 2008 at the Wayback Machine The commandment of Ayatollah Khomeini for Bazargan and his sermon on 5 February. ↑ Abrahamian (1982), p. 529. ↑ Iran 20th Archived 6 June 2007 at the Wayback Machine , 1999-01-31, CNN World. ↑ "Features – Radio Free Europe / Radio Liberty". RadioFreeEurope/RadioLiberty. Archived from the original on 13 February 2007. ↑ Iran Anniversary Archived 26 August 2009 at the Wayback Machine , 2004-02-11, CBC World. ↑ Farah., Azari, (1 January 1983). Women of Iran : the conflict with fundamentalist Islam. Ithaca Press. p. 150. ISBN 0903729954. ↑ Farah., Azari, (1983). Women of Iran : the conflict with fundamentalist Islam. Ithaca Press. p. 151. ISBN 0903729954. ↑ Ferdows, Adele K. (1 January 1983). "Women and the Islamic Revolution". International Journal of Middle East Studies. 15 (2): 283–298. JSTOR 162994. 1 2 3 4 Hālāh., Isfandiyārī, (1 January 1997). Reconstructed lives : women and Iran's Islamic revolution. Woodrow Wilson Center Press. p. 5. ISBN 9780801856198. OCLC 655267947. 1 2 3 4 5 6 Nashat, Guity (1 January 1983). Women and revolution in Iran. Westview Press. ISBN 0-86531-931-6. ↑ Nashat, Guity (1983). Women and revolution in Iran. Westview Press. ISBN 0-86531-931-6. 1 2 "The role of women in the victory of the Islamic revolution". Al-Islam.org. Archived from the original on 11 September 2017. Retrieved 10 May 2017. 1 2 3 Charles., Kurzman, (1 January 2005). The unthinkable revolution in Iran. Harvard U Pr. p. 151. ISBN 9780674018433. OCLC 263715901. ↑ Nashat, Guity (1983). 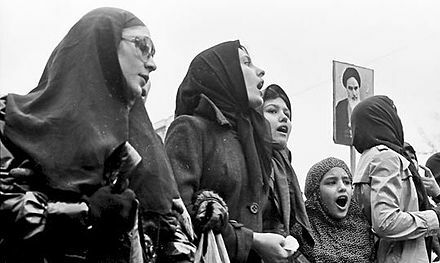 Women and revolution in Iran. Westview Press. p. 116. ISBN 0-86531-931-6. 1 2 Charles., Kurzman, (2005). The unthinkable revolution in Iran. Harvard U Pr. p. 152. ISBN 9780674018433. OCLC 263715901. ↑ Hālāh., Isfandiyārī, (1997). Reconstructed lives : women and Iran's Islamic revolution. Woodrow Wilson Center Press. ISBN 9780801856198. OCLC 925729937. ↑ Azar., Tabari, (1 January 1982). In the shadow of Islam. Zed. ISBN 9780862320225. OCLC 251722861. 1 2 Nashat, Guity (1983). Women and revolution in Iran. Westview Press. p. 121. ISBN 0-86531-931-6. ↑ Nashat, Guity (1983). Women and revolution in Iran. Westview Press. p. 77. ISBN 0-86531-931-6. ↑ Nashat, Guity (1983). Women and revolution in Iran. Westview Press. p. 1. ISBN 0-86531-931-6. 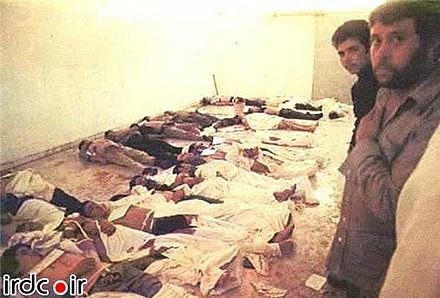 ↑ Researcher Emad al-Din Baghi at the Martyrs Foundation (Bonyad Shahid) counted 2,781 protesters killed in 1978–79, a total of 3,164 killed between 1963 and 1979. ↑ "Iran Chamber Society: The Constitution of Islamic Republic of Iran". iranchamber.com. Archived from the original on 18 February 2010. ↑ Mojahedin-e Khalq, but also "Fedayins and Kurds as well as Tudeh, National Front, and Shariatmadari supporters"
↑ Azam Torab (2007). Performing Islam: Gender and Ritual in Islam. BRILL. pp. 142–43. ISBN 90-04-15295-4. Archived from the original on 5 August 2016. ↑ "Text of ten Iranian revolution songs". Archived from the original on 30 January 2016. Retrieved 26 January 2016. ↑ "Iran Iran song". Archived from the original on 1 February 2016. Retrieved 26 January 2016. ↑ Richard C. Martín (2004). Encyclopedia of Islam & the Muslim World. Granite Hill Publishers. p. 357. ISBN 978-0-02-865603-8. ↑ Mansoor Moaddel (13 August 2013). Class, Politics, and Ideology in the Iranian Revolution. Columbia University Press. p. 206. ISBN 978-0-231-51607-5. Archived from the original on 8 January 2014. Retrieved 31 August 2013. 1 2 Democracy? I meant theocracy Archived 25 August 2010 at the Wayback Machine , by Dr. Jalal Matini, translation & introduction by Farhad Mafie, 5 August 2003, The Iranian. ↑ Zabih, Sepehr (1982). Iran Since the Revolution. Johns Hopkins Press. p. 2. ISBN 0-8018-2888-0. 1 2 Islamic Clerics Archived 8 July 2012 at Archive.today , Gems of Islamism. ↑ Azar Tabari, 'Mystifications of the Past and Illusions of the Future,' in The Islamic Revolution and the Islamic Republic: Proceedings of a Conference, ed. Nikki R. Keddie and Eric Hooglund (Washington DC: Middle East Institute, 1982) pp. 101–24. ↑ Kepel, Gilles (2002). The Trail of Political Islam. Harvard University Press. ISBN 0-674-00877-4. ↑ John Pike. "Niruyeh Moghavemat Basij – Mobilisation Resistance Force". globalsecurity.org. Archived from the original on 30 April 2011. ↑ Manou & Associates Inc. "Iranian Government Constitution, English Text". iranonline.com. Archived from the original on 23 November 2010. Retrieved 18 October 2014. ↑ "History of Iran: Iran after the victory of 1979's Revolution". iranchamber.com. Archived from the original on 21 May 2010. 1 2 Moin, p. 232. ↑ Mahmood Davari. "The Political Thought of Ayatollah Murtaza Mutahhari". Archived from the original on 19 September 2015. ↑ Akhbar Ganji talking to Afshin Molavi. Molavi, Afshin (2005), The Soul of Iran, Norton paperback, p. 156. ↑ "Man of the Year: The Mystic Who Lit The Fires of Hatred". TIME.com. 7 January 1980. Archived from the original on 20 September 2010. ↑ Wright, Robin (1989) In the Name of God. Simon & Schuster. p. 126. ISBN 0671672355. ↑ Expansion of the Iranian Revolution and the War with Iraq Archived 25 June 2010 at the Wayback Machine , Gems of Islamism. ↑ Neville, Peter (2013). Historical dictionary of British foreign policy. Lanham: Scarecrow Press, Incorporated. ISBN 978-0810871731 . Retrieved 2 February 2016. ↑ "Qantara.de – Dialogue with the Islamic World". Archived from the original on 5 October 2010. ↑ "Large Number of Iranian Prisoners to Be Pardoned for Revolution Anniversary: Khamenei". NYT. Reuters. Retrieved 7 February 2019. ↑ Llorente, Elizabeth. "Iran may release huge number of prisoners". foxnews. Retrieved 8 February 2019. ↑ "Large number of Iranian prisoners to be pardoned for revolution anniversary – Khamenei". Reuters. Retrieved 8 February 2019. ↑ Iran Archived 16 June 2006 at the Wayback Machine , the UNESCO EFA 2000 Assessment: Country Reports. ↑ "National Literacy Policies/Islamic Republic of Iran". accu.or.jp. Archived from the original on 11 May 2011. ↑ Adult education offers new opportunities and options to Iranian women Archived 28 September 2013 at the Wayback Machine , UNGEI. ↑ "Iran: Human Development Index". Archived from the original on 13 July 2007. ↑ "Turkey: Human Development Index". Archived from the original on 13 August 2007. ↑ "Data". Archived from the original on 8 July 2017. ↑ "Iran's unsung rebellion By Syed Saleem Shahzad". atimes.com. ↑ article 64. "Islamic Republic of Iran Constitution". Archived from the original on 23 November 2010. Retrieved 26 September 2015. ↑ Iran Human Rights Documentation Center (2007). "A Faith Denied: The Persecution of the Baha'is of Iran" (PDF). Iran Human Rights Documentation Center. Archived from the original on 2 December 2012. Retrieved 4 December 2012. ↑ "Ministers of Murder: Iran's New Security Cabinet". Archived from the original on 29 September 2006. ↑ Zanganeh, Lila Azam, ed. (2006). My Sister, Guard Your Veil, My Brother, Guard Your Eyes : Uncensored Iranian Voices. Beacon Press. p. 63. ISBN 0-8070-0463-4. 1 2 3 4 5 6 7 8 9 10 11 12 Mahnaz., Afkhami,; Erika., Friedl, (1 January 1994). In the eye of the storm : women in post-revolutionary Iran. Syracuse University Press. ISBN 9780815626343. OCLC 925271105. 1 2 3 4 5 Hālāh., Isfandiyārī, (1 January 1997). Reconstructed lives : women and Iran's Islamic revolution. Woodrow Wilson Center Press. ISBN 9780801856181. OCLC 655267947. 1 2 "Fading hope". The Economist. 7 March 2015. Archived from the original on 13 May 2015. Retrieved 8 May 2015. ↑ Yeganehshakib, Reza (November 2013). "Political Risk to Investment in Iran: Sanctions, Inflation, Protectionism, War, Bonyads, and the IRGC". Journal of Political Risk. 1 (7). Archived from the original on 18 May 2015. Retrieved 8 May 2015. 1 2 IMF (March 2010). "Iran: 5. Report for Selected Countries and Subjects". Washington D.C.: International Monetary Fund. Archived from the original on 20 October 2012. Retrieved 18 February 2013. ↑ "Iran per capita". worldbank. ↑ "GNI per capita (constant 2010 US$) | Data". data.worldbank.org. Retrieved 1 July 2018. ↑ "GNI per capita, PPP (constant 2011 international $) | Data". data.worldbank.org. Retrieved 1 July 2018. ↑ "Iran Currency Exchange Rate History: 1975 – 2018". www.farsinet.com. Archived from the original on 29 June 2017. Retrieved 28 January 2018. ↑ IMF (October 2010). "Regional Economic Outlook – Middle East and Central Asia" (PDF). World Economic and Financial Survey. Washington D.C.: International Monetary Fund. p. 15. Archived (PDF) from the original on 17 October 2012. Retrieved 18 February 2013. ↑ "Doing Business 2015" (PDF). Archived from the original (PDF) on 18 May 2015. Retrieved 8 May 2015.